Characteristics: Low growing herbaceous perennial shrub bearing silver-flushed, green leaves with deep green central veins. Flourishing Season: Clusters of deep pink flowers appearing in late Spring through to Summer. Heuchera ‘Paris’, sometimes known as Coral Bells or Alum Root, is an interesting variety with large, silver-green foliage and deep green veining. 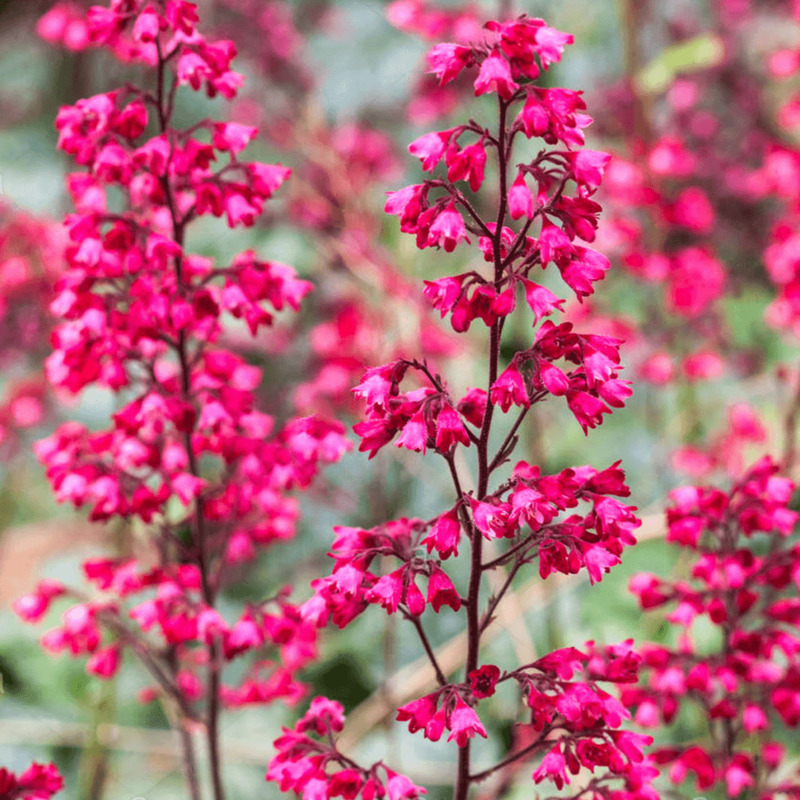 A long flowering variety, this plant produces long, slender stems bearing loose panicles of bright, rosy-pink flowers starting around mid-Spring and blooming multiple times from Spring right through to the Autumn. This showy heuchera is perfect for shaded areas or planted around trees as a nice ground cover and will also attract many pollinators to the garden.